The Black Retro stickers are absolute class! Quick update - bat hasn't picked up anymore weight as of yet....James has said that it should lose weight, can't see that happening. It is knocked in and I've applied a fibre scuff and ripple grip. Sounds an absolute gun now it's knocked in. 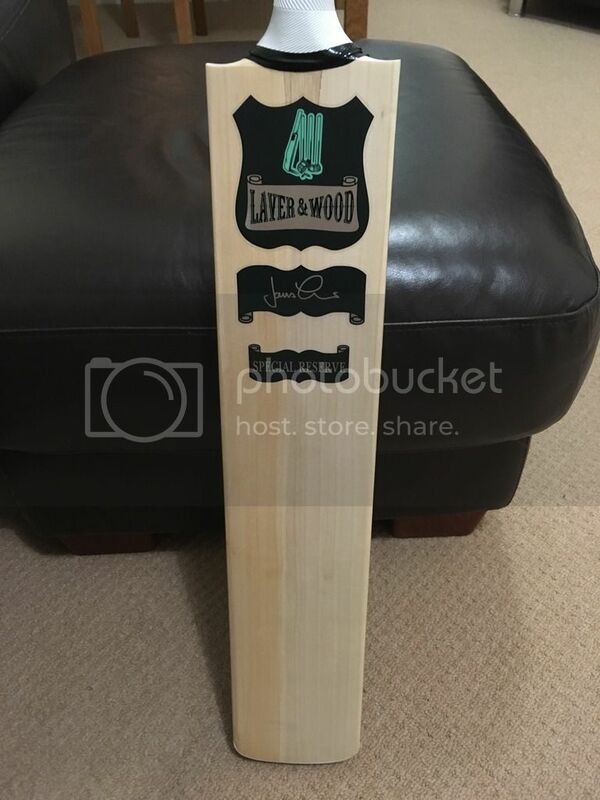 James has organised a courier to collect the bat for its weight loss and hopefully I'll be happy with the bat when it's returned. Just hope taking off 1.5oz doesn't turn it into a toothpick! Will post pics of the new one as soon as it arrives! 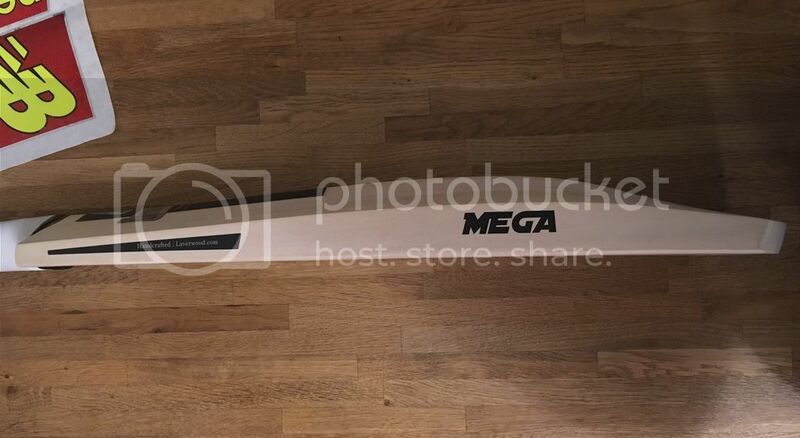 Those guys are marketing this as a 2lb 8 bat! Clearly it's 2lb 9.5 as per your message. I had a similar problem with a L&W Ultra, I ordered a 2.7 and received a 2.9. L&W were fantastic, offered me two or three options. 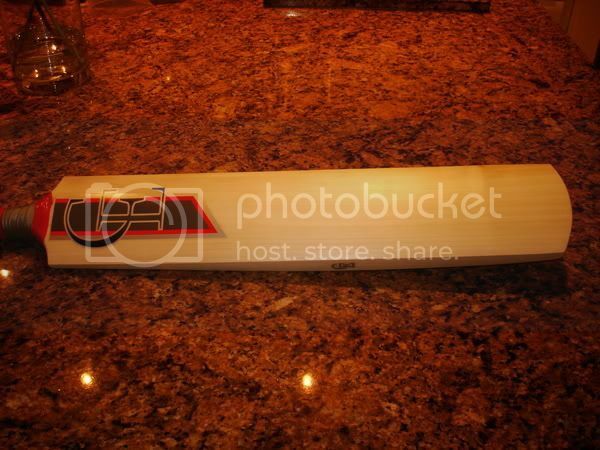 In the end I kept the original bat (which I sold on here) and had a replacement at cost price (which I sold on here). I thought there service was so good I purchased another at the beginning of last season, which at only 2.7 has a massive middle. That laver you have Jason is a stunner! And a bargain at £169.00. 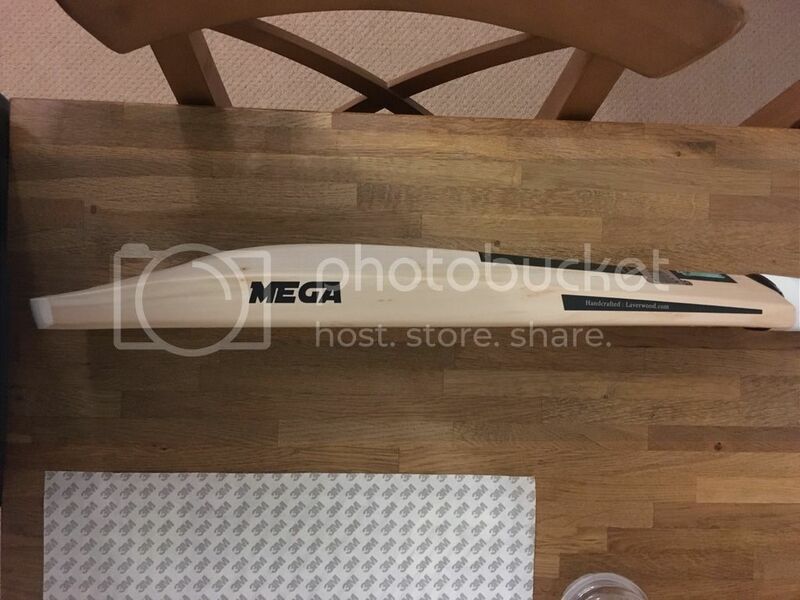 Received my new replacement bat today and have got to say it's a stunner! I'm very happy with it and the service offered by James and Anth. Taps up pretty well, a little bit better than the overweight bat. The MEGA stickers will be coming off ASAP - it's not a MEGA shape so not sure why they are on there. The chevron grip will be coming off and replaced with a vee grip so finished weight will be around 2.8.5oz after grip and antiscuff. 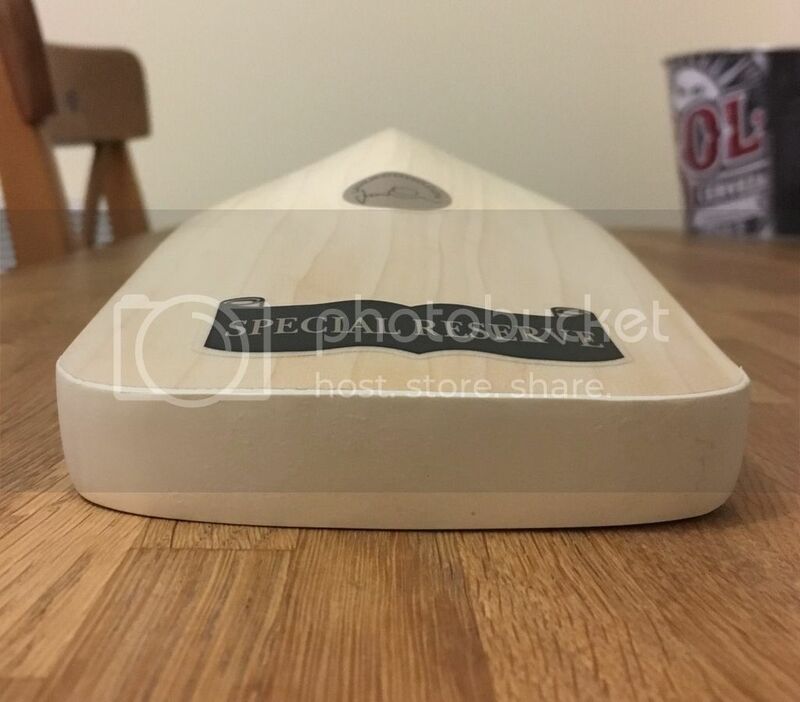 When your bored of scoring loads of runs with it. I will be the first to offer to take it off your hands.